This book that Tony mentions, The Last Voyage, is out of print. 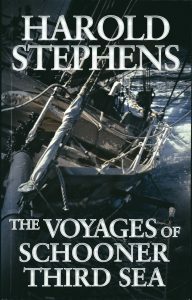 I must say that I really enjoyed “re-reading” this latest edition about the travels of the schooner Third Sea and I found that the enhancements over “The Last Voyage” — which I had read some 17 years earlier — made for a smoother read. And as ever, it is enlightening and inspiring! This new book is The Voyages of Schooner Third Sea. 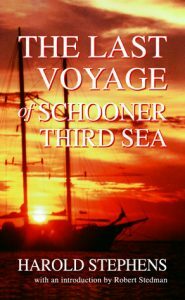 This is the second book tony talk about, The Voyages of Schooner Third Sea. Harold Stephens’ writing captures the emotions of being at sea and being at the mercy of nature vividly and accurately, I should say — based on my brief venture with him on the Third Sea. 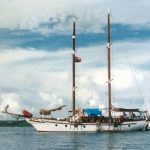 Back in the early 1970s I had sailed on this schooner’s maiden voyage from Bangkok to Pattaya and then on down to the far south of the Gulf Thailand — an experience that I still treasure. This voyage had also fulfilled a desire that had been inspired in me when I had been a teenager. To explain, my dentist in Richmond, England at that time had been Bill Howell (“Tahiti Bill”, whom Harold Stephens mentions in this book). I should add that I really looked forward to my visits to see my dentist then since, while checking out my dentures, he would regale me with tales of his adventures. And of course I had read his book about single-handedly sailing around he world as well, which he had loaned me (but, unfortunately, is no longer in print). I also read other accounts of sailing the world single-handedly back then and had a mind to do this myself, although I had reservations as to whether I could manage all the disciplines (probably not!). But, certainly it helped to inspire me to travel the world and to head off on an overland trip which took me to Bangkok in 1970 — where I settled down and still live. Harold Stephens’ description of Tahiti in the early days is also very accurate, as I recall. In 1971 I had the privilege to visit Papeete while travelling on an inaugural Air France flight from Tokyo, Japan to Lima, Peru and still today I can recall vividly being in Quinn’s Bar and experiencing its vibrancy. This book brought some great memories back to me with Harold Stephens’ vivid — but ultimately tragic — account. Indeed, it is books such as this that can inspire others to follow in the author’s wake, to travel the world and to fulfil their dreams.